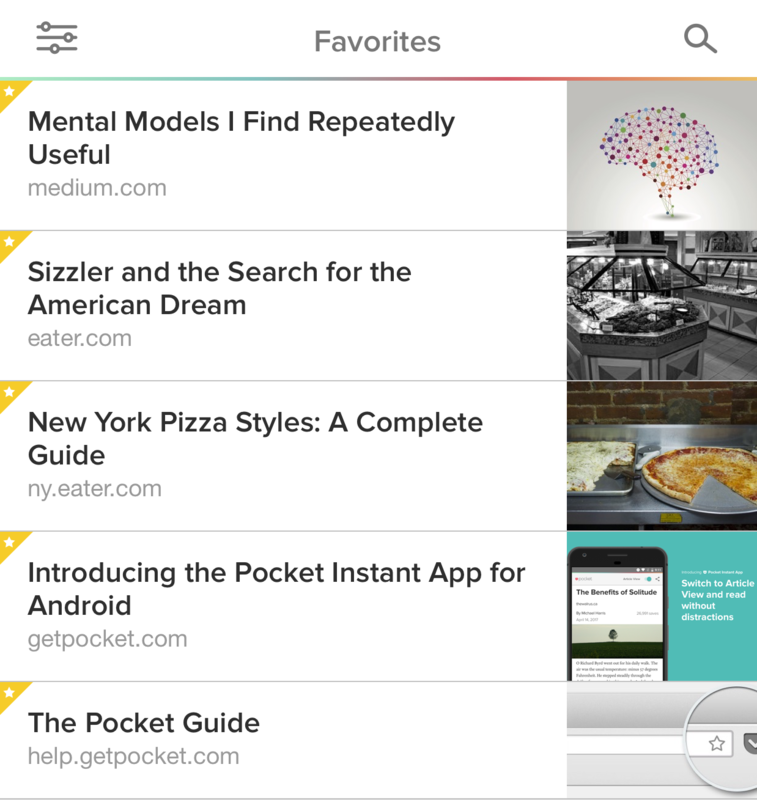 The longer you use Pocket, the easier it is to end up saving more items than you read. This can lead to a very long List that might seem difficult to conquer. Don’t worry - we’ve all been there! Thankfully, we’ve identified several ways to tackle your List and enjoy what you’ve saved. We asked the Pocket community to share what methods they use, and are excited to share the most effective ones below. We love multitasking, and the Listen (text-to-speech) feature is one of the best ways to enjoy your saved articles when reading on a screen is not convenient, like when working out at the gym or folding laundry. 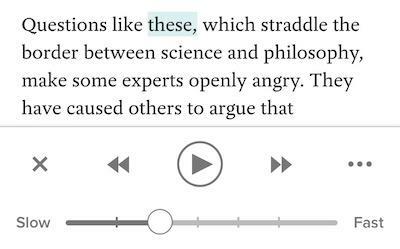 When you start listening in Pocket on iOS and Android, the article will be read to you out loud, and you can adjust the voice and reading speed. When you open Pocket, it can sometimes it can be difficult to know where to begin. Should you start at the top, or scroll through your List to see if something catches your eye? Favorites and Tags, which both help keep your items organized, can be used as a reminder for why you saved something and when you might want to return to it. You can flag items that are important to you by marking them as a Favorite. Just tap the star button ★ after opening an item to add it to your Favorites list. Then, when you’re ready, you can view your Favorites list when you’re looking for your most important items. In Pocket, open an item in your list and click or tap the Tag button: Next, type out a new Tag or select one from your Tag list, then tap Save or tap the Enter/Return key. For example, by creating a “Priority” Tag, you can indicate which of your items are a priority for you. Or, if you want to set a deadline for yourself or a reminder to read something on the weekend, you can create tags like “Read by Friday” or “Weekend Reads”. Open your Tag list. On your computer, it can be found in the left sidebar. On iOS and Android, just tap the Menu button and scroll down to the Tags section. Select the Tag you wish to filter, and your List will update to only show items with the selected Tag. 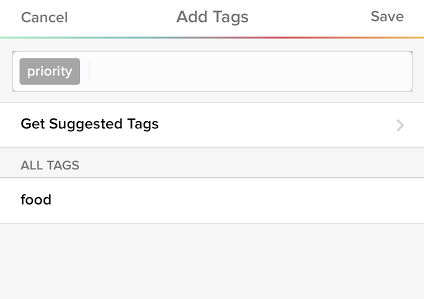 Click here to learn more about using Tags on iOS, Android and your computer. Life can get pretty busy, so get ahead of things by planning your reading time at the start of the week. You can set a reading goal to get back to your List on a regular basis. Try this: Read an article in Pocket, then Archive it. See how many pages you’ve read (and Archived) at the end of the week! If your List is long, Search is your new best friend. 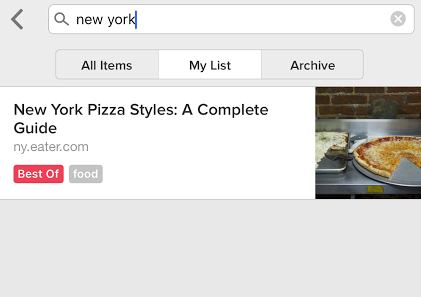 Use the Search in Pocket to dig up items you’ve saved by title and URL. You can supercharge your searches in Pocket by subscribing to Pocket Premium. Once you upgrade your account, you can search by tags, topics, authors, and text within the article itself! You can also use powerful search operators to refine your search even further. Click here to learn more about Full-Text Search in Pocket Premium. It’s so easy to save items to Pocket that we might become overly ambitious about how many items we plan to revisit later on. Fortunately, Bulk Edit in Pocket can help you prune your List and remove things that you don’t plan on reading after all. We understand that saving many things to Pocket can become overwhelming, and sometimes it’s better to start fresh with a clean slate. Therefore, we offer a tool that you can use to clear your List and remove all items from your Pocket account. Note: This will permanently remove all items in your account, It’s a permanent action and cannot be undone. We’d love to know if these tips have been helpful to you! Or if you’ve discovered any other tips to stay on top of things, please click here to let us know!